At Chuckanut Brewery we are constantly trying to learn more about our ingredients. Single Hop Lager is an opportunity for us to master our knowledge about the noble hop varietals we use and experiment with U.S. and other new world hop varietals. By using a simple malt bill & lager yeast, we allow the hops to shine through. We are excited to get to know these hops better and for our guests who drink Single Hop Lager to enjoy the beer and learn more about hops too! Our second rendition uses the new varietal Vic’s Secret from Australia. Grown in a well known hop farm outside of Melbourne, Australia, this new fragrant hop provides flavors and aromas of guava, grapefruit and pine. 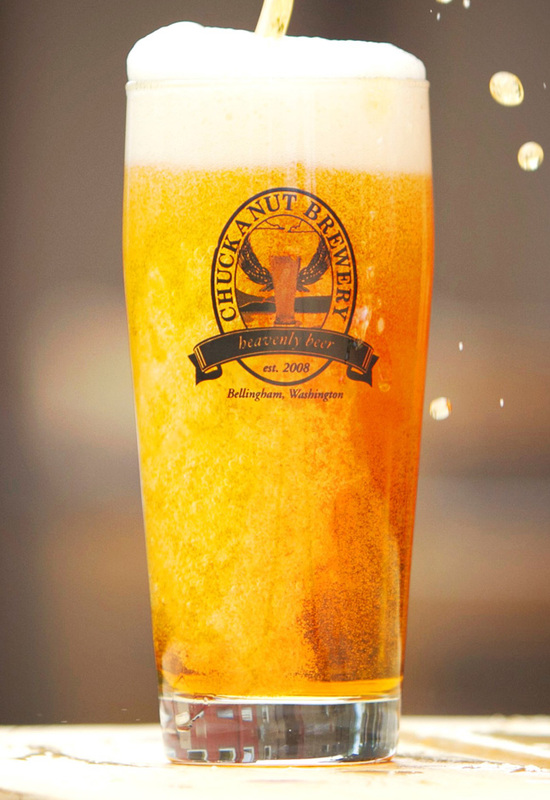 Different from Chuckanut’s noble hop wheelhouse, we are happy to bring this Single Hop Vic Secret Lager to you! Fish & Chips along with Fried Chicken and Peanuts in the shell will work wonderfully with the Single Hop Lager. The malt flavor and dry hop tastes of the beer go well with spicy foods too.